Anne Beau Cox Chambers is America’s most revered media mogul. Chamber’s Cox Enterprises, is one of the largest diversified media companies in the United States which runs several newspapers, radio and cable television businesses making her the 53rd Richest Person In The World. Chambers and her sister Barbara gained a controlling interest in the family business in 1974 with Chambers taking over as Chairwoman of Atlanta Newspapers. Even after their children took over the reins of Cox Enterprises, Chambers remained a close advisor concerning the daily operation of the company. Anne Chambers is a business woman par excellence. She was the first woman in Atlanta to be the director of Fulton National Bank and was also the first woman from Atlanta on the board of city’s chamber of commerce. 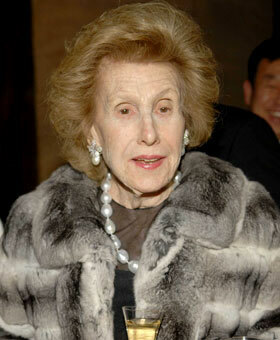 She also served as director on the board of Coca Cola Company during the 1980s. Her support for a wide range of educational and cultural charities won her many accolade including honorary doctorates and philanthropy awards. Chambers Parents – James M. Cox and Margaretta Parker Blair. 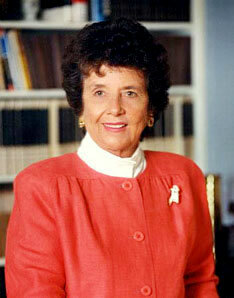 Chambers was born on December 1, 1919 in Dayton, Ohio to James M. Cox and Margaretta Parker Blair. Her father was a newspaper publisher and a Democratic Presidential Nominee in 1920. Chambers Siblings – Barbara Cox Anthony and James M Cox Jr.
Barabara Blair was the younger sister of Anne Cox. Barbara was well known in Hawaii for her philanthropic activities and held the chair of La Piertra– Hawaii School for Girls until her death in 2007. Little is known of their brother James M Cox Jr except that it was upon his death that the sisters inherited Cox Enterprises. Anne Cox was first married to Louis Johnson with whom she had two children. The marriage ended in a divorce after which Anne married Robert William Chambers with whom she had one child. James Cox Chambers is a graduate from Bard College. He is a choreographer and an actor. Chambers is one of the most successful faces on the Forbes list of billionaires with a net worth of $15.2 billion. Anne Chamber’s father James Cox served three terms as Governor of Ohio and during this time invested heavily in buying newspapers like Dayton Evening News. As his sole surviving daughter, Chambers controls 98 per cent of the Cox Enterprises proprietorship today. The enterprise runs 78 radio stations, 17 daily newspapers which also includes the flagship Atlanta Journal-Constitutionand 15 TV stations. They also have cable systems with 6.5 million users. Anne Cox Chambers paved the way for many American woman who dreamed of making a mark in the world of business. To this day she remains a role model for women entrepreneurs around the world.